Dubai: Listen in as Matt Smith, Shamsheer Mohammed and Ashley Hammond are all praise after Mo Salah’s wonder strike and unique celebration silenced the haters during the Reds’ 2-0 win over Chelsea at the weekend. Oh, and there are a few Champions League matters to be sorted out too. 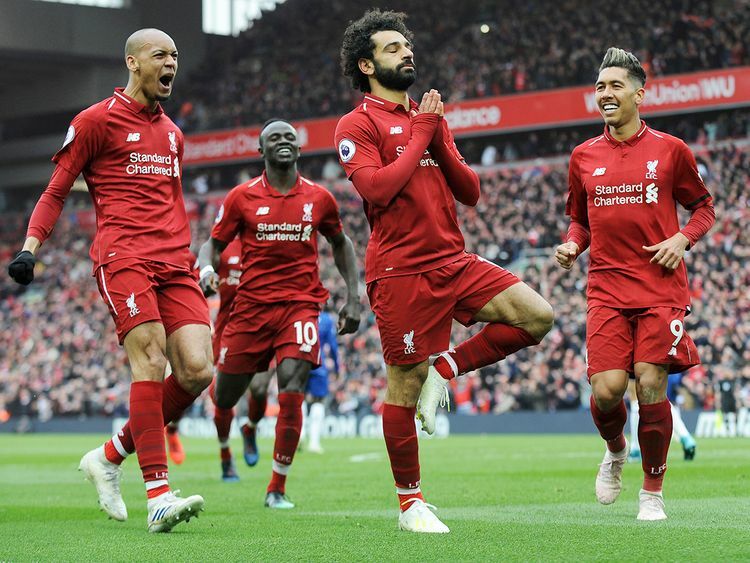 After a strike that was a contender for goal of the season — any season, come to that — in the win over Chelsea that took Liverpool back to the top of the Premier League, Salah took a moment to illustrate his stance against the haters, who have used abhorrent offensive chants against him. It looked like a yoga pose, a moment of Zen-like calm. A moment of serenity amid a cacophony of bedlam — and it was wonderful.